JNTUH B.Tech/B.Pharmacy 2-1, 3-1, 4-1 Semesters 2nd Mid Exam Time Tables Nov 2018, jntu hyderabad b.tech and b.pharmacy 2-1, 3-1 & 4-1 2nd mid exam time tables 2018. 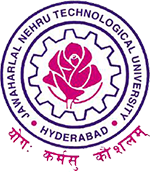 JNTU Hyderabad University has released B.Tech/B.Pharmacy II MID Term Examination Time tables November 2018. This is to inform you that the second mid term examinations of B.Tech/B.Pharmacy II, III and IV year I semester to be held from 12.11.2018 to 14.11.2018.
what about 2 semister time tables..